In global terms, Slovenia is a young state. It has been independent since 1991. The ancestors of the Slovenes were the Slavs, who migrated to the area of ​​the present-day Slovenia from the area of Carpathians in the 6th century, and founded the oldest known Slavic state, Carantania, already in the 7th century, but it did not last long. All until the 20th century, the area of Slovenia was ruled by foreigners, mostly by the Habsburgs or, later on, the Austro-Hungary monarchy. In this period, the Slovenians emerged as a nation and forged their own identity, despite the oppression and sustained pressure to assimilate. Slovenia became part of the Kingdom of Yugoslavia after the First World War, and then part of the Socialist Federal Republic of Yugoslavia after the Second World War. After more than 70 years of living in Yugoslavia, the Slovenians had built a consensus for an independent path. In the 1990 plebiscite, almost 90% of the population voted for independence. In 2004, Slovenia joined the EU and became a member of NATO. In Slovenia, culture has a special historical and social significance. It was primarily thanks to their culture and common language – the Slovenian – that the Slovenians were able to forge themselves and survive as a nation. To Slovenians, the language and culture have for centuries represented a substitute for the lack of their own state and political institutions. Slovenia is one of the rare countries, if not actually the only country in the world, where a day of culture is a national holiday. Considering the number of speakers, the Slovenian language has relatively many dialects and subdialects (according to a general assessment, as much as 48), which are divided into eight dialect groups. Such a language variety is the result of geographical, political, historical, social and other reasons. Slovenian is one of the rare Indo-European languages to have retained the dual. In Slovenia, literature is still the most prestigious and revered form of art. The first texts in the Slovenian language date back to the turn of the first millennium A.D., i.e. the Freising Manuscripts, which are also the oldest texts in any Slavic language written in Latin alphabet. Today, they are kept in the Bavarian State Archives in Munich. A special place in the Slovenian literature is occupied by Primož Trubar, who published the first book in the Slovenian language, and the poet France Prešeren, whose poem Zdravljica (A Toast) is the Slovenian anthem. In 2010, Ljubljana was the world book capital as selected by the UNESCO. And in 2012, Maribor was the European Capital of Culture. Slovenia has a very well-spread network of cultural institutions, organizations and associations, comparable to the culturally most developed European countries. In Slovenia, there are professional opera and ballet companies in Ljubljana and Maribor, and numerous professional theatres. The cultural life is very variegated and rich at the museums, galleries and cultural centres. 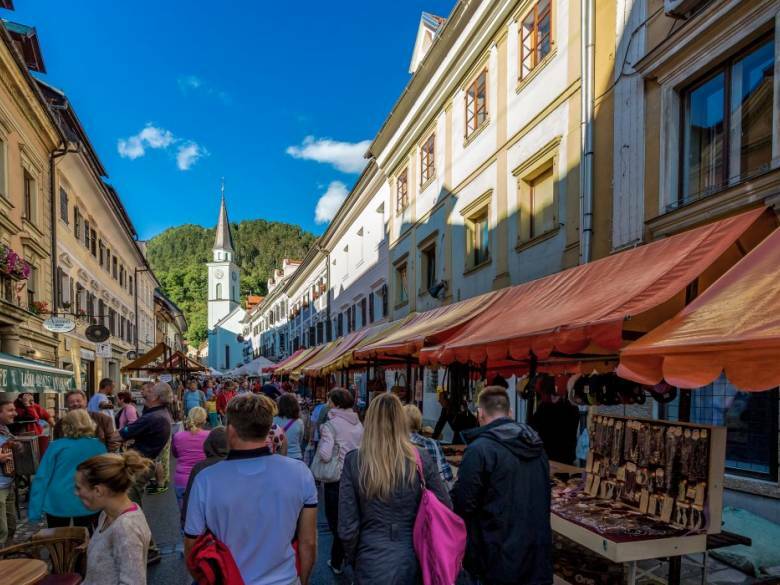 The offer of cultural events in Slovenia is exceptionally diverse, pleasing even the most demanding visitors. Particularly in the summer, a series of world-class festivals are held in Slovenia, featuring appearances of world-renowned artists. There is always a lot going on in Slovenia. The most interesting cultural events. Would you like to understand the Slovenians and their identity? Check what is offered by more than 50 museums and galleries, and the musical and theatrical institutions. Visit the remains of castles and manors, of which there are several hundreds. It will be informative and entertaining at the same time.